Small-deck ships such as destroyers and frigates could greatly increase their effectiveness if they had their own Unmanned Air Systems (UASs) to provide Intelligence, Surveillance and Reconnaissance (ISR) and other capabilities at long range around the clock. Current state-of-the-art UASs, however, lack the ability to take off and land from confined spaces in rough seas and achieve efficient long-duration flight. Tactically Exploited Reconnaissance Node (TERN), a joint program between Defense Advanced Research Projects Agency (DARPA) and the U.S. Navy’s Office of Naval Research (ONR), seeks to provide these and other previously unattainable capabilities. 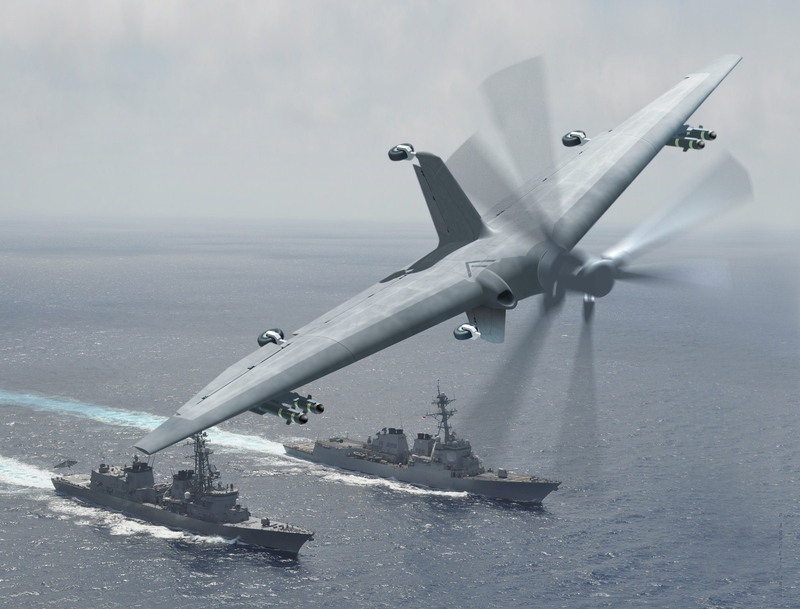 As part of TERN’s ongoing progress toward that goal, DARPA has awarded Phase 3 of TERN to a team led by the Northrop Grumman Corporation. The first two phases of TERN successfully focused on preliminary design and risk reduction. In Phase 3, DARPA plans to build a full-scale demonstrator system of a medium-altitude, long-endurance UAS designed to use forward-deployed small ships as mobile launch and recovery sites. Initial ground-based testing, if successful, would lead to an at-sea demonstration of takeoff, transition to and from horizontal flight, and landing – all from a test platform with a deck size similar to that of a destroyer or other small surface-combat vessel. «The design we have in mind for the TERN demonstrator could greatly increase the effectiveness of any host ship by augmenting awareness, reach and connectivity», said Dan Patt, DARPA program manager. «We continue to make progress toward our goal to develop breakthrough technologies that would enable persistent ISR and strike capabilities almost anywhere in the world at a fraction of current deployment costs, time and effort». «ONR’s and DARPA’s partnership on TERN continues to make rapid progress toward creating a new class of UAS combining shipboard takeoff and landing capabilities, enhanced speed and endurance, and sophisticated supervised autonomy», said Gil Graff, deputy program manager for TERN at ONR. «If successful, TERN could open up exciting future capabilities for U.S. Navy small-deck surface combatants and U.S. Marine Corps air expeditionary operations». «Through TERN, we seek to develop and demonstrate key capabilities for enabling distributed, disaggregated U.S. naval architectures in the future», said Bradford Tousley, director of DARPA’s Tactical Technology Office (TTO), which oversees TERN. «This joint DARPA-Navy effort is yet another example of how the Agency collaborates with intended transition partners to create potentially revolutionary capabilities for national security». The TERN Phase 3 design envisions a tailsitting, flying-wing aircraft with twin counter-rotating, nose-mounted propellers. The propellers would lift the aircraft from a ship deck, orient it for horizontal flight and provide propulsion to complete a mission. They would then reorient the craft upon its return and lower it to the ship deck. The system would fit securely inside the ship when not in use. TERN’s potentially groundbreaking capabilities have been on the U.S. Navy’s wish list in one form or another since World War II. The production of the first practical helicopters in 1942 helped the U.S. military realize the potential value of embedded Vertical Take-Off and Landing (VTOL) aircraft to protect fleets and reduce the reliance on aircraft carriers and land bases. The TERN demonstrator will bear some resemblance to the Convair XFY-1 Pogo, an experimental ship-based VTOL fighter designed by the U.S. Navy in the 1950s to provide air support for fleets. 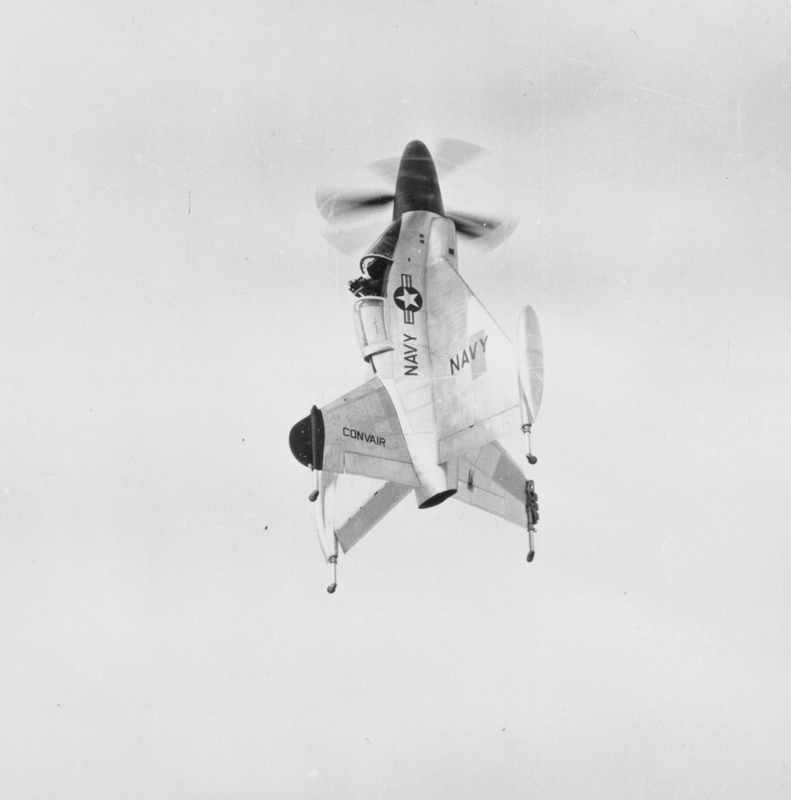 Despite numerous successful demonstrations, the Convair XFY-1 Pogo never advanced beyond the prototype stage, in part because the U.S. Navy at the time was focusing on faster jet aircraft and determined that pilots would have needed too much training to land on moving ships in rough seas. «Moving to an unmanned platform, refocusing the mission and incorporating modern precision relative navigation and other technologies removes many of the challenges the Convair XFY-1 Pogo and other prior efforts faced in developing aircraft based from small ships», Patt said. «TERN is a great example of how new technologies and innovative thinking can bring long-sought capabilities within reach». DARPA and the U.S. Navy have a Memorandum of Agreement (MOA) to share responsibility for the development and testing of the TERN demonstrator system. The Marine Corps Warfighting Laboratory (MCWL) has also expressed interest in TERN’s potential capabilities and is providing support to the program.